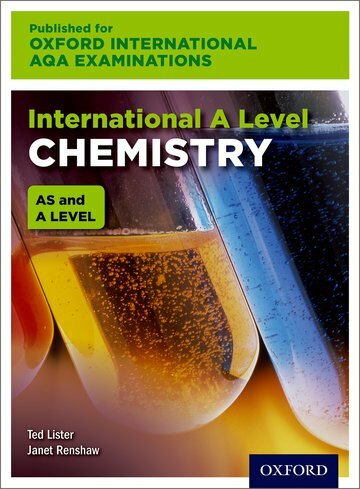 The only textbook that fully supports the OxfordAQA International AS & A Level Chemistry specification (9620), for first teaching in September 2016. Build advanced skills with the enquiry-based, international approach that prepares students for exam success and the progression to university study. Prepare students for exam success with exam-style and summary questions. Help students understand the bigger picture with synoptic links that build a solid foundation for university study. Make science meaningful with a focus on how scientists and engineers apply their knowledge in the real world. Prepare for the written practical exam with full coverage of the 10 required practicals. Strengthen mathematical skills, with Maths skills tips, a dedicated Maths chapter, worked examples and practice questions. Support those students who don't speak English as a first language with clear language, an extensive glossary and highlighted key terms.